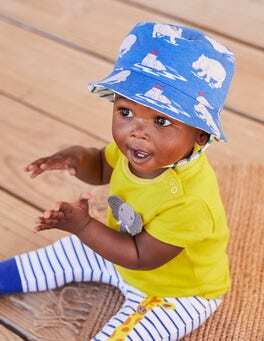 The sun has got his hat on, hip hip hooray! 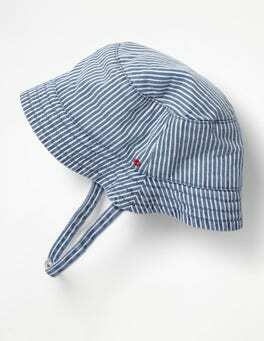 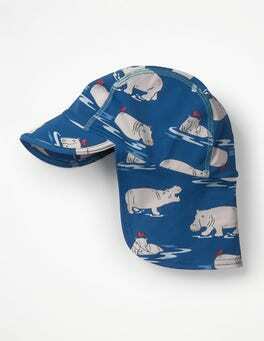 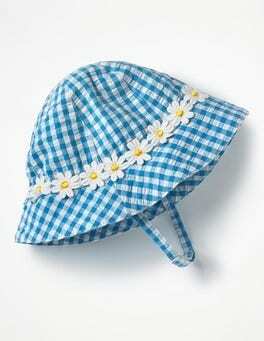 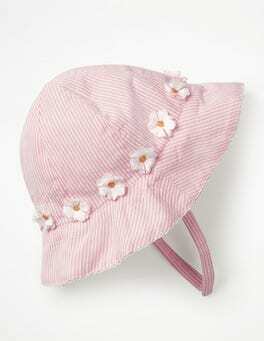 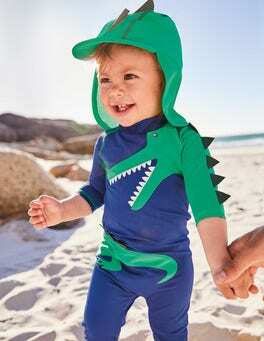 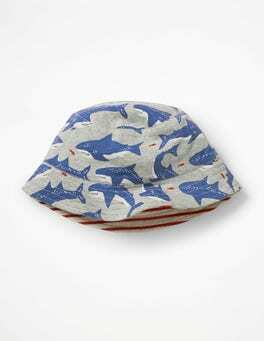 Protect baby's head and keep them cool with our jersey hat in 100% breathable cotton. 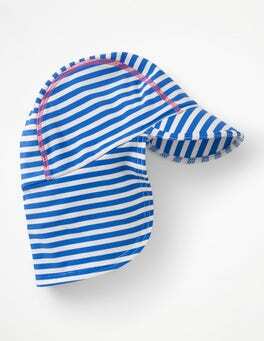 It’s easy to adjust, with a touch-and-close chinstrap. 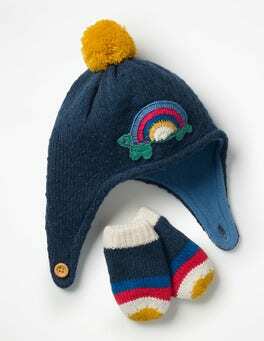 And if an outfit change is on the cards, simply reverse it for a different look. 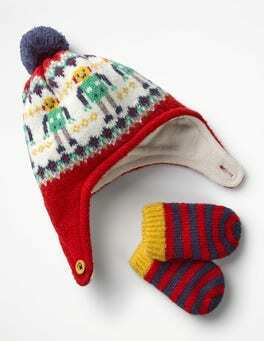 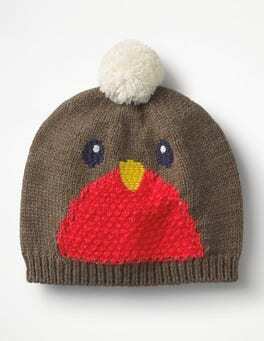 This supersoft hat and mittens set is a sweet way to keep baby warm when it's nippy outside. 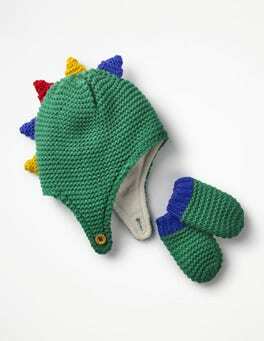 It features fun stripes, a crocheted turtle design and a fun pompom trim. 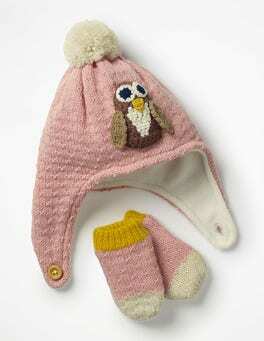 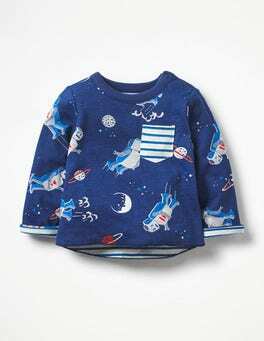 The fleece lining and soft mohair-rich knit make it extra cosy for little ones.